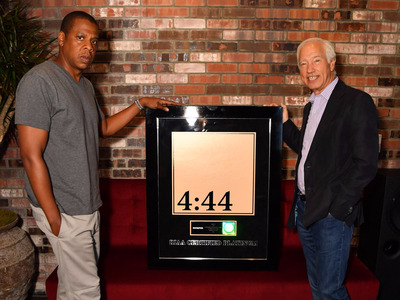 Twitter/RIAAJay-Z and RIAA CEO Cary Sherman. Less than a week after its release, Jay-Z’s critically acclaimed new album “4:44” has already been certified platinum, according to the Recording Industry Association of America (RIAA). It’s unclear how the album reached platinum certification so quickly despite it being a Tidal exclusive.